What is College of Marin’s Mini-Medical School? College of Marin's (COM), Mini-Medical School: Medical Science and Aging (MMS) seminars are an opportunity to focus on the second half of life, normal human aging, and avoiding diseases. Relevant topics on the science of aging well are presented by esteemed medical science physicians and researchers, professionals, and educators. Seminar content is appropriate for passionate and curious adults, young seniors and boomers, maturing adults, as well as students and community members of any age who have an interest in the second half of life. Program partners have included top medical school clinical professors as well as respected researchers from Stanford University; University of California, Davis; University of California, San Francisco; and Kaiser Permanente. This is a complimentary, no-fee seminar. Please register online. Mini-Medical School takes place in the James Dunn Theatre at COM’s Kentfield Campus. Each day begins with registration and light refreshments from 8 a.m. to 9 a.m. Health information and free blood pressure checks provided by COM health sciences students be available from 8 a.m. to 8:40 a.m. Seminars begin at 9 a.m. and last until noon. CEUs available for registered nurses. Introducing Concepts for Thinking/Feelings that Enhance Your Hopes and Dreams for Living! 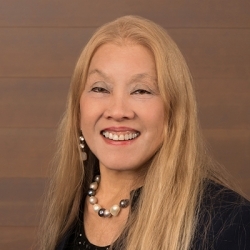 President and founder of Excellence Launch Associates, a management consulting business that conducts the governor’s school accountability management audits, Eva Long, Ph.D., has worked as a teacher, superintendent, and as UC Berkeley adjunct faculty. Dr. Long is a Founder and President for Ahlers and Long Associates, a management and corporate training company, and owns and manages a multi-real estate holding. She has also managed multi-million-dollar divisions and school districts and is a former retail business owner in San Anselmo. National honors include awards from the Ford and Rockefeller Foundations and a Fulbright Scholar Fellowship. She has a bachelor’s degree in education and a master’s degree in art from San Francisco State University as well as a master’s degree in educational administration, curriculum and supervision from Stanford University and a doctorate from Fielding Graduate University in Santa Barbara. Dr. Long specializes in medical science on aging, biogerontology, and longevity research; with expertise in education, lifelong learning, and multiple modalities in psychology and medical science research. Dr. Long’s love of learning began years ago with her training in the mid-1960s studying and conducting co-therapy groups with Western Institute Group and Family Therapy Founders and Mentors, Dr. Robert Goulding, M.D. and Mary Goulding, MSW—some of the greatest master therapists and theoreticians in Transactional Analysis and adults changing through Redecision Therapy. 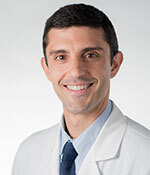 Since 2004, Dr. Long has attended the UC Davis School of Medicine Mini-Medical School (MMS) on Medical Science and Aging program annually with UC Davis MMS Founder Dr. Michael McCloud, along with UC Davis Medical Clinical faculty. Dr. Long has also served on the UC Davis Internal Medicine, Mini-Medical School Advisory Council since its inception in 2005. Dr. Long has a long history of research development work resulting in cutting-edge life span and expansion research in psychology and education, integrated with medical science research. She is in the process of completing her research, several books, and articles of interest. Dr. Long also is a master trainer of trainers and a frequently sought-after seminar speaker. 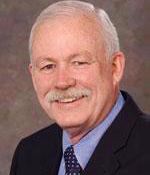 Edward J. Callahan, Ph.D. is Associate Vice Chancellor Emeritus for Academic Personnel, Schools of Human Health Sciences and Professor Emeritus, Family and Community Medicine, University of California, Davis. Dr. Callahan serves as Chair of the Group on Diversity and Inclusion for the Association of American Medical Colleges; as Secretary for Building the Next Generation of Academic Physicians (BNGAP); and as Founding Chair and Past Chair, the Vice Chancellor’s LGBTQ+ Advisory Council at UC Davis. Dr. Callahan co-Directed the West Virginia University Human Sexuality Clinic from 1976-1985 before joining the faculty at UC Davis School of Medicine. 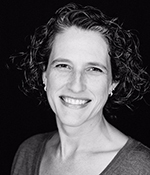 Dr. Callahan continues to lead workshops for faculty on implicit bias in order to enhance search committees’ ability to recognize the best candidates for faculty positions, and Healing Circles for UC Davis Health faculty, staff and community members. Dr. Callahan remains committed to reducing health disparities nationally. Shelly Garone is board certified in Internal Medicine and also in Hospice & Palliative Medicine. She earned her Bachelor of Arts degree in Philosophy from Tufts University and her Medical Doctorate degree from Tulane Medical School. She completed her Internal Medicine residency at the University of California Davis Medical Center in Sacramento and did one year of a Pulmonary / Critical Care fellowship at Cedars-Sinai in Los Angeles. She learned as a fellow that she truly loves practicing hospital medicine and joined Kaiser Permanente in 1999 as a hospitalist. During her tenure as a hospitalist, she worked with a team to create the existing Palliative Care Department, literally borrowing space and building from the ground up. She was then certified in Hospice and Palliative Medicine in 2010. As she took over the Continuum in 2014, she began to work in Skilled Nursing Facilities. In late 2015, she was asked to assume an administrative role over not only the Continuum, but also Oncology Care, Quality, and Patient Safety. She recognizes that people are most vulnerable during the times between hospital and home, between diagnosis and survivorship, between sickness and recovery. It is precisely during these times, when bridges linking different venues of care and different providers of care, must be built and maintained. She works endlessly on creation of those bridges, trying to find innovative ways to build systems to link care so that the patient never "falls through the cracks." When she's not working, she enjoys spending time with her husband, her grandchildren, her family and friends, and her pets. If you see her working on rhythm with her feet in the elevator, don't worry - she's just trying to get the latest step from her tap class worked out. If you would like to submit an application to present at a future MMS seminar, contact us for additional information about the process. Support from generous community organizations allows COM to provide a high-caliber program to over 500 Marin community members each year. Learn more about how your organizations can become an active partner. We are always looking to add great volunteers to the team! If you would like additional information about becoming a future MMS presenter, community partner, volunteering, or if you have general questions, call (415) 485-9500. To support this important educational series that provides essential information on understanding the science of aging well, you can make your tax-deductible donation online at advancement.marin.edu. Click on “Donate Now” and select “Mini-Med” for the gift designation. Or, you can send a check payable to “Marin Community College District,” (check memo line-“Mini Med”) Advancement Office, 835 College Ave, Kentfield, CA 94904. Thank you! Mini-Medical School is co-sponsored by COM's Community Education and Health Sciences Departments.